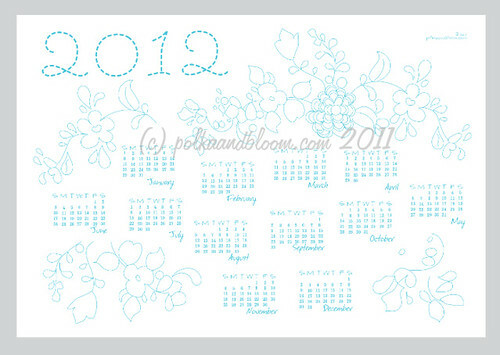 polka & bloom: 2012 Calendars new colour to pre-order! 2012 Calendars new colour to pre-order! 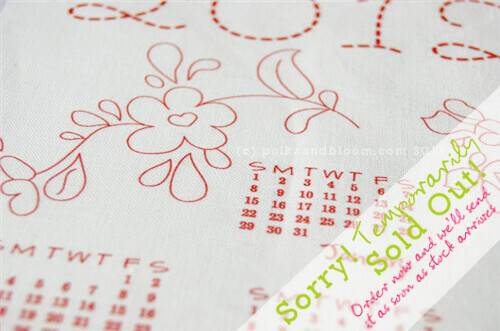 Thank you very much for your kind comments and emails about the fabric calendars! Two of the designs have sold out and there are just three calendars left of the current batch! I'll be re-ordering the next lot later tonight, so if you'd like one of the two designs (Red Outline and Green Outline) which have already sold out, you can pre-order them now to make sure you get the one you want! I'll also be ordering a Blue Outline version, so if you're interested in that, please make a pre-order so I can know how many to put in this lot.